When the late summer blues hit in August, there is hardly a better antidote than a hike. Where could it be better to say goodbye to summer and gently welcome autumn than on the Weissenfluh Alp? 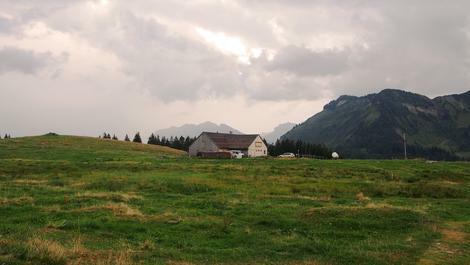 The starting point from Bödele makes the alp accessible to hikers of all ages and fitness levels. After about 30 minutes you reach the "Fohramoos", an intact moor idyll that invites you to marvel and take a deep breath. Catch your breath at the Lustenauerhütte, or finish the last, short stretch to your destination. The final ascent along flowering peppermint bushes is especially worthwhile, at the highest point you'll find a view of the Lake Constance region that will take your breath away. The Weissenfluh Alp is still open until mid-October, rest day is on Tuesday. Further information about the hike or bicycle tour can of course also be obtained from us at the Hirschen reception. Im April 2018 wurden acht Zimmer sowie Kaminzimmer und Küche renoviert.